Prize motivation: "for her efforts for democracy and human rights. She has focused especially on the struggle for the rights of women and children." 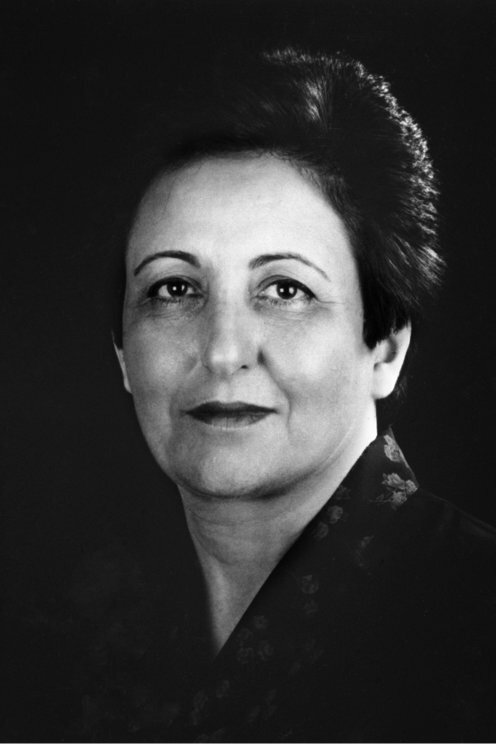 The lawyer Shirin Ebadi was Iran's first female judge. After Khomeini's revolution in 1979 she was dismissed. Ebadi opened a legal practice and began defending people who were being persecuted by the authorities. In the year 2000 she was imprisoned herself for having criticized her country's hierocracy. Shirin Ebadi took up the struggle for fundamental human rights and especially the rights of women and children. She took part in the establishment of organizations that placed these issues on the agenda, and wrote books proposing amendments to Iran's succession and divorce laws. She also wanted to withdraw political power from the clergy and advocated the separation of religion and state. In its choice of Ebadi, the Nobel Committee expressed a wish to reduce the tensions between the Islamic and the Western worlds following the terrorist attack on the United States on 11 September 2001. At the same time, the Committee wished to extend a helping hand to the Iranian reform movement.